The Rugby Football Union has confirmed that chief executive Steve Brown will be leaving his role at the end of the year. Brown joined the England board in 2011 and has held a number of roles including Chief Financial Officer, Chief Officer Business Operations, and Managing Director of England Rugby 2015 before he was promoted to chief executive role in September last year. “This has been a very difficult decision for me to make, and I informed the RFU Board earlier this week that the time is right for me to step down and take some time out. I’ve loved my time in rugby, and am deeply proud to have made a contribution to a sport I love. "It has been a fascinating 7 ½ years, and a great honour to lead the RFU over the last 14 months. I am proud of the people who make the Union – including our hard working and committed staff and the brilliant volunteers who make the game. "I’m sad to leave, but the Union is in good shape, with an excellent leadership team in place. Nevertheless, Brown's decision on financial decisions were questioned after former chief executive Francis Baron produced a report based on his analysis of the RFU's published accounts dating back to 2000, motivated by his unease at 64 redundancies being made to slash costs, despite record revenues generated for 2016 and 2017. Meanwhile, RFU Chairman Andy Cosslett expressed disappointment on the news and lauded Brown's contribution to the game in the country. “This is a sad day for the Union. Steve has made a huge contribution to the RFU during his time here. He has been a pivotal figure during a long period of sustained growth for the Union and, as Managing Director of the Organising Committee, played a key role in delivering Rugby World Cup 2015. 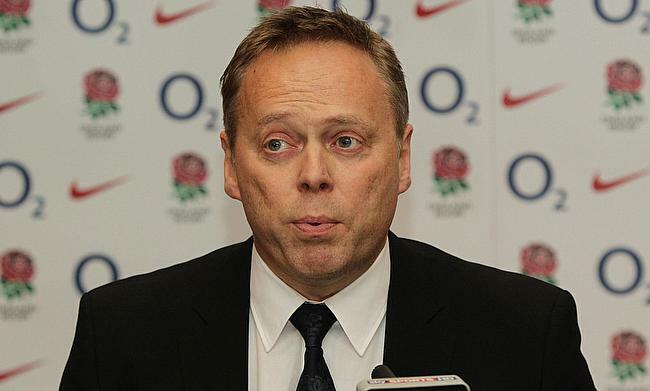 A statement released by the RFU revealed Director of Professional Rugby Nigel Melville will act as the interim chief executive until a new appointment is made.